What is Ngong Ping 360 and what else can I do there? Home Hong Kong What is Ngong Ping 360 and what else can I do there? Enjoy the best panoramic views from Ngong Ping 360! At Lantau Island you’ll find Ngong Ping 360 - one of Hong Kong’s most unique attractions. Also deemed as one of the world’s top ten most amazing cable car rides, this must-try attraction is a great break from the hustle and bustle of the city. Read on to find out how you can skip the queues to Ngong Ping 360 with Klook and why you should definitely include it into your Hong Kong bucket list! Ngong Ping 360 is a 25-minute cable car ride on Lantau Island that connects the Ngong Ping highland with the town of Tung Chung. 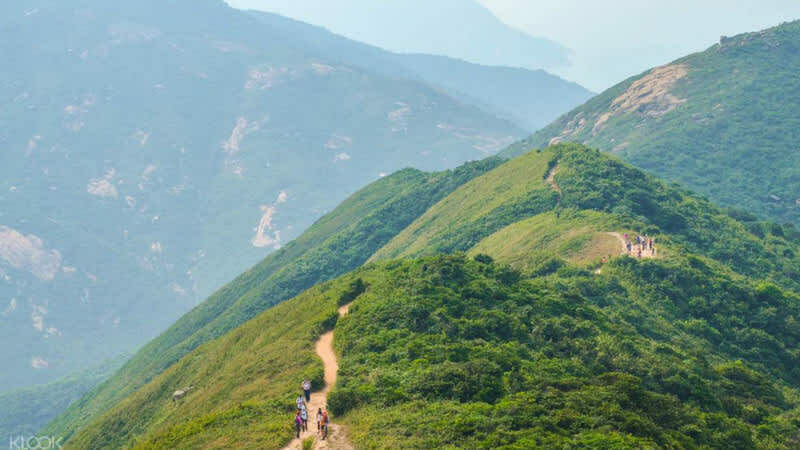 Throughout the 5.7km journey, visitors are treated to incredible panoramic views over the mountainous terrain of Lantau Island, the airport and seascape, the grand Tian Tan Buddha, and a full view of the Ngong Ping Village. Visitors can opt for standard or private cabins or elevate their viewing experience even further with a crystal cabin! With clear glass walls and a glass bottom, you can feast your eyes on the most unique, unobstructed views. Many visitors and locals hop on the cable car ride not to only enjoy the view, but also to visit the several attractions in Ngong Ping. The entire ride takes approximately 25 mins one way. Easily one of the most famous attractions amongst tourists and also locals in Hong Kong, queues to get on the Ngong Ping cable car can get very long. However, if you purchase your tickets from Klook, you get to skip the queue and join the Klook VIP lane! This fast lane is exclusive only to Klook users. Enjoy instant confirmation and the benefits of an open-dated option when you book your tickets with Klook. Simply flash your e-voucher on the day to redeem your physical ticket. You can save time with this neat little trick and truly maximize your day! Now it’s time to take a look at what you can spend all the extra time you’ve gained on when in Ngong Ping! By private van transfer: Book Klook's car transfer for great value transfers! From on-site shopping to exciting Buddhist monuments, scrumptious dining, and breathtaking views, Ngong Ping continues to awe visitors with unique and interesting experiences. Besides that, a bus ride away, one can suddenly find themselves in a world of a tranquil fishing village, Tai O. You can join a cultural tour that combines Ngong Ping 360 with a day trip to Tai O, or take in unbelievable views and attractions of the island in a 360 Lantau sunset tour. Take a look at the plenty of things to eat, see, and do around Ngong Ping 360! Ngong Ping Village is the hub that connects the Ngong Ping 360 terminus to the Tian Tan Buddha, Po Lin Monastery, Ngong Ping Piazza, and Wisdom Path. One of the more known attractions within the village is the Bodhi Wishing Shrine. Visitors can purchase a wishing card for US$19 (HK$150), pen their wishes on the card and hang it on the Bodhi Tree, also known as the Bo Tree. It’s been said that wishes made under that tree will come true. It’s because young prince Siddhartha was believed to have meditated under that tree, eventually achieving enlightenment and becoming Buddha. You can also find Motion 360, a 5-D Lantau adventure ride in Ngong Ping Village. There’s also, Stage 360, a multi-sensory look into how action movies are created, as well as Walking with Buddha, an immersive attraction that follows the life of Siddhartha Gautama and his path to enlightenment and becoming Buddha. To enjoy the full experience, Klook yourself a ‘360 Fun Pass’ for an unforgettable time at Ngong Ping. Specialising in Cantonese and Teochew cuisine, the Ngong Ping Garden Restaurant serves authentic food that will leave you craving for more. With a menu of an assortment of dim sum to steamed chicken, roasted pork, fried rice and many more, you’ll be greeted with endless choices. As one of the pioneers in promoting Chinese tea culture in Hong Kong, Li-Nong Tea House provides a free artistic flower tea demonstration. Visitors also get to sample the tea from the demonstration and purchase some home if they wish to. Accompanied by Chinese music, it enriches the ambiance and experience even more for the complete flower tea indulgence. Li-Nong Tea House also serves at the meeting point and first top of the Lantau Culture and Heritage Insights Tour. A few minutes walk from the cable car is perhaps the most recognisable landmark associated to Ngong Ping, which is the Tian Tan Buddha. Also known as the Big Buddha, the statue stands at 34m in height, making it the world’s largest sitting Buddha! To reach the Buddha, visitors have to embark on a hike of 268 steps. In return, you’re rewarded with a view that is more than worth the short exercise. Just beneath the statue are three floors, each representing The Hall of the Universe, The Hall of Benevolent Merit, and The Hall of Remembrance respectively. One of the most esteemed features inside is a relic of Gautama Buddha, which allegedly contains some of his cremated remains. Those who purchase an offering for the Buddha are allowed to enter, leave their offerings and view the relic. For those who are not physically able to make the climb, there’s a small winding road for vehicles to reach the top. Simply ask the staff on-site for help and they’ll be happy to assist! From Tian Tan Buddha, there are signs that lead to Wisdom Path. At Wisdom Path, you will find a landing with 38 impressive wooden rectangular beams. Each beam stands tall at 8-10 metres with Chinese scriptures inscribed. The scriptures make up the prayers of the Heart Sutra, one of the most popular Buddhist prayers. The beams are also arranged in an ‘8’ shape, representing the infinity symbol. From a certain angle at the entrance of the Wisdom Path, there’s a small viewing platform that allows you to see a clear, complete arrangement of the beams. It’s an incredibly magnificent view as well as the perfect photo op moment! From Big Buddha is one of the points where the trail starts and ends to Lantau Peak. As the highest point in Lantau Island and the second highest peak in Hong Kong, Lantau Peak boasts a view that is uncontested. If you arrive at Lantau Peak from the Pak Kung Au trail instead, it’s also nice to take the trail down to Big Buddha. Just across from Tian Tan Buddha is Po Lin Monastery, one of Hong Kong’s most esteemed Buddhist temples. Dubbed the ‘Buddhist World in the South’, you’ll find three bronze Buddha statues inside the temple, each representing a life of Buddha. Within the grounds are several structures embellished with giant joss sticks, benches and colourful iconography. The monastery is also home to many devout monks. The temples greeting you are a few of the newer ones, while the original temples are actually tucked in the back. Raved by many travellers and visitors, the vegetarian meals and snacks are a must-try when in Ngong Ping! The restaurant and snack cafe are perfect places to tuck into some comforting and scrumptious food after some walking and sightseeing. At the base of the Big Buddha, you will find counters selling tickets for vegetarian lunch meals at the Po Lin Monastery. The menu features food items like deep fried bean curd sheets with lemon sauce, mixed mushroom soup, fried spring rolls and many more. If you don’t want a full meal, you can also grab some vegetarian snacks at the Delicate Vegetarian Desserts And Snacks counter. Adjacent to the vegetarian restaurant, it offers a wide selection of vegetarian desserts and oriental-style snacks. With endless of choices, each item is more appetising than the next one! The meal vouchers for the desserts and snacks can be found also at the same counter below the Tian Tan Buddha statue. With an area of approximately 1.5 hectares, Ngong Ping Piazza is just a short distance away from Ngong Ping Village. Visitors are greeted by a towering ornamental archway at the entrance of the piazza, which leads to The Bodhi Path - the central walkway. Within the piazza is an open space which faces the Po Lin Monastery and Big Buddha where ceremonies are occasionally held. There’s also a Chinese landscaped, serene garden which complements the Po Lin Monastery. A bus ride away from Ngong Ping Village, you’ll find Tai O Village, a humble and quaint fishing town. Known for seafood, stilt houses, and its notable fishing culture, Tai O is sometimes referred to as “Venice of the Orient” or “Venice of Hong Kong”. Whether it’s admiring the street art, getting a dose of history, chasing the dolphins or tucking into some seafood, the tranquil fishing village is an interesting place to discover. For the best sky-land-sea excursion, this day pass from Klook offers visitors the complete 360 experience. A must-visit in Tai O is the Kwan Tai Temple, which features an exciting cultural look into the 1400s and is practically a photographer’s haven. Besides that, you can also catch a boat out to the sea to catch the rare and impressive pink dolphins! Seeing as it’s a fishing village, you can find an abundance of seafood in Tai O. From dried seafood drying on almost every corner, to vendors grilling fresh oysters and prawns topped with cheese, and many more, there’s no better way to explore the village than to eat your way through it! One of the most sought-after eggettes in Tai O is by the famous ‘Egg Puff Uncle’! He makes the egg waffles with a traditional charcoal drill, which creates a dangerously addictive snack with a crispy exterior and smoky taste. If you’re looking for other Hong Kong snacks, you can also find cai guo, tau foo fa, and Chinese pizza, just to name a few at Tai O! Make sure to grab these essentials to complete your HK trip! Stay connected during your stay in Hong Kong and connect up to five devices at once on one pocket WiFi! Collect your device at the Hong Kong Airport or at the Mongkok service center and drop off your device at the Hong Kong Airport. Use your Hong Kong Octopus card to dine, travel, have fun, shop and more. Get going immediately with HK$50 of preloaded credit! Receive a meet and greet service at airport arrivals or your hotel by an experienced and professional chauffeur and enjoy a luxury airport-hotel limousine transfers for up to 6 people in a Toyota Alphard MPV! 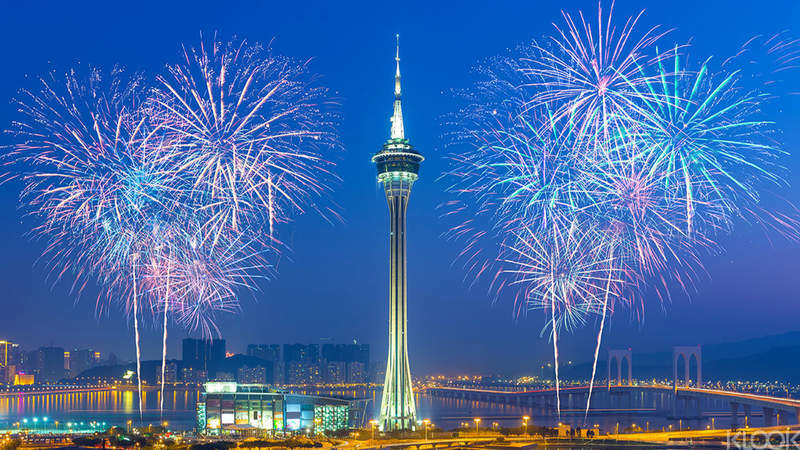 From Hong Kong to Macau, the iVenture pass covers the top attractions that'll be sure to make your holiday as exciting as it is affordable. What's this iVenture card all about? Find out more! Enter the secret world of Hong Kong of scenic hiking trails, beautiful clear waters, diverse wildlife & more. There's more to Hong Kong than just typical tourist spots! Whether you're traveling Hong Kong on a budget or just want to travel in comfort, we've found a list of Hong Kong Airport transfers for every wallet size! 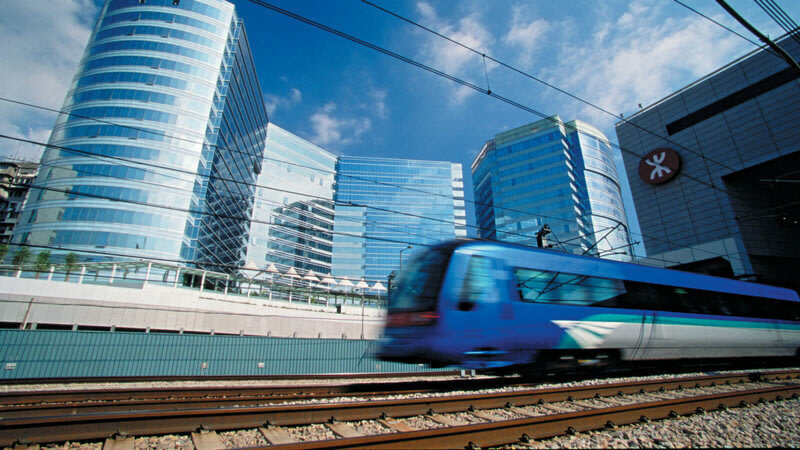 From the fastest trains to the city to the ultimate V.I.P treatment, find out more!